Asphalt is a very durable pavement, offering both strength and flexibility. However, asphalt pavement needs occasional help to keep it looking its best and to ensure that it does not suffer from a premature demise. Sealcoating, Mt Laurel, NJ, and regular inspections can spot potential problems, and timely repairs and a protective sealant can help prevent minor issues from turning into severe damages. The most significant threat to parking lots in Mt Laurel, is the weather. Statistically, the average low temperature is below freezing for three months out of the year, and the city averages more than 15 inches of snow annually. It’s easy to see why property owners frequently need asphalt repair services in Mt Laurel. Properly maintained asphalt surfaces last much longer than those that are neglected. Asphalt requires a stable foundation to retain its resiliency and strength. When cracks are left unrepaired, melting snow or rain can find its way beneath the surface. It can erode the foundation to the point that the base can no longer support the weight of the asphalt. This can cause additional cracks or potholes, and before long, the asphalt can be too damaged to save, especially if the trapped water freezes. To discuss your asphalt needs, or you can send us your information by submitting our online form. We would be pleased to provide you with a free, no-obligation quote. Asphalt Sealcoating – Sealcoating protects asphalt pavement by locking out water and the sun’s harmful UV rays that dry out asphalt. A quality sealant also locks in the flexibility inherent in liquid asphalt that binds pavement together. 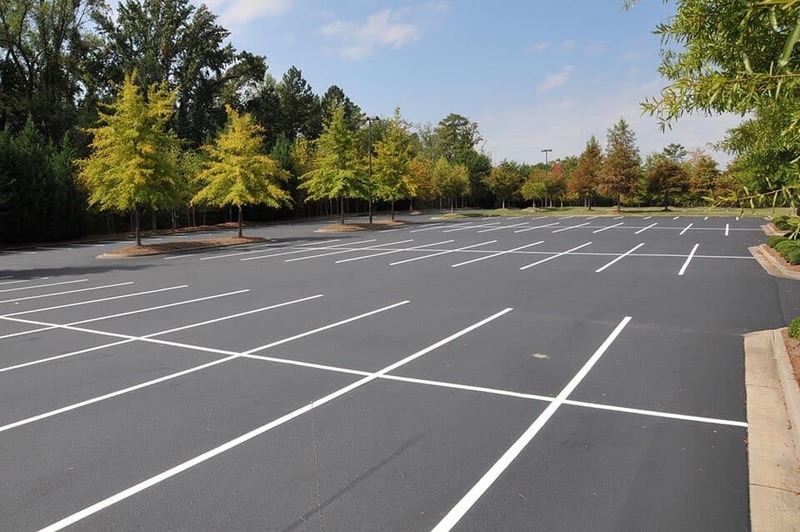 Learn more about asphalt sealcoating in Mt Laurel, NJ! Asphalt Crack Repair – Crack Repair is the most critical of all asphalt maintenance techniques. As pavement ages and begins to lose its flexibility, the expansion and contraction of asphalt due to the changing of the seasons causes it to crack. Asphalt crack sealing keeps moisture out of those cracks and protects the underlying structure of the pavement. Learn more about crack repair in Mt Laurel! Asphalt Repair – Later in the service life of any asphalt pavement repairs will be inevitable. As the base layer begin to shift, potholes and a wide range of other defects come to light. Parker can repair small or major defects to help extend the pavement life before having to re-pave. Learn more about asphalt repair in Mt Laurel, NJ! APS is Mt Laurel’s pavement maintenance experts. Our 30+ years of experience has proven our ability to offer superior results and customer care every time. Contact us for free no-obligation consult with our team at 1.856.461.1710.